Kids Not Listening? Don’t Count on 1-2-3! Does it ever seem like it’s impossible to get your kids to listen to you? You know how it works: You ask your child to pick up her toys. You only hear silence. You ask again. Your daughter doesn’t even look up. So you decide to count to get her attention. One. Long wait. Twwwooooooooo. Two and a haaalllllffff. No response. And just as you’re about to proclaim, “Three!” she finally starts cleaning up. Whew, it worked! Right? Well, not really. The only thing your child learned about listening is that she gets at least five chances, sometimes more, before she really has to pay attention. And is that really what you want to be teaching your child? Although counting 1-2-3 is a popular parenting technique, it’s not actually effective in the long-term. It won’t help with future behavior, and in fact, this tactic will only guarantee that your child won’t respond the first time you make a request. Which in turn sets your child up for trouble down the road. Think of it this way: will teachers have the patience to ask your child 5+ times to complete an assignment? Or would a boss give your child 5+ chances to comply with a request? Not likely. So why should you allow your child multiple chances in your home, even as you’re working to prepare him for success in the real world? What’s more, have you considered what you’ll actually do if your child allows you to reach “Three” when you count? And how does counting 1-2-3 make you feel? Most likely, desperate and even angry—not exactly the way you’d like to feel about your kids! 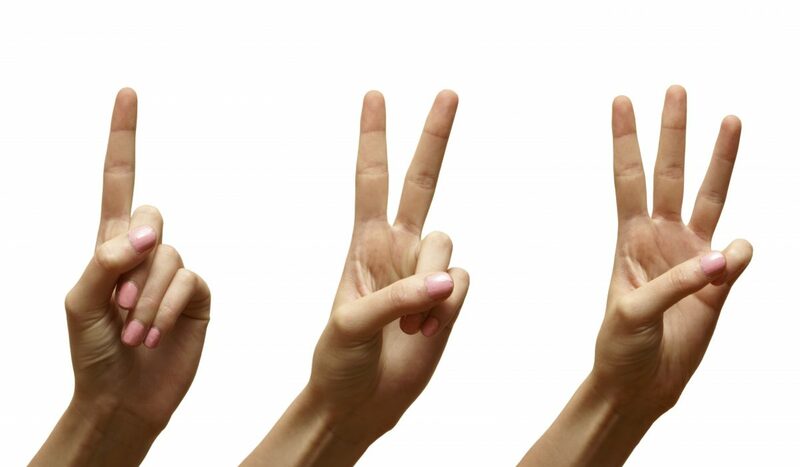 Counting 1-2-3 is at times used as a “quick fix” for misbehaviors of all kinds, but the truth is, there’s no quick fix that actually works to solve the problem. With counting, time outs, and other “magic wand” parenting strategies, the child simply learns we’re not serious until we get to “three.” We don’t see the long-term behavior change that we’re looking for. specific tools to correct the misbehavior in the moment and prevent it from happening again. So, what do we do instead of counting 1-2-3? For starters, get face-to-face with your child and use a calm, firm voice to state the desired behavior in a way she can understand. Be sure she’s clear on what will happen if she doesn’t follow your instructions. Your calm voice is very important to avoid a power struggle. For example, say, “Sara, please put your toys away now, or I’ll put them in a box and you will lose the privilege of playing with them for the rest of the day.” And that’s the only chance your child gets. Don’t undermine the training opportunity by repeating yourself over and over. If your child chooses not to respond appropriately, it’s your job to carry out the consequence in a calm and respectful way. Even if your child has a tantrum, there’s no need to get angry or even respond. Your child is learning a valuable lesson and will soon know that when you make a request, you mean business! Counting 1-2-3 might seem like a good idea at first, but it soon loses its effectiveness. However, stating a clear expectation with a reasonable, age-appropriate consequence—and then following through—will ensure your kids listen the first time, every time.